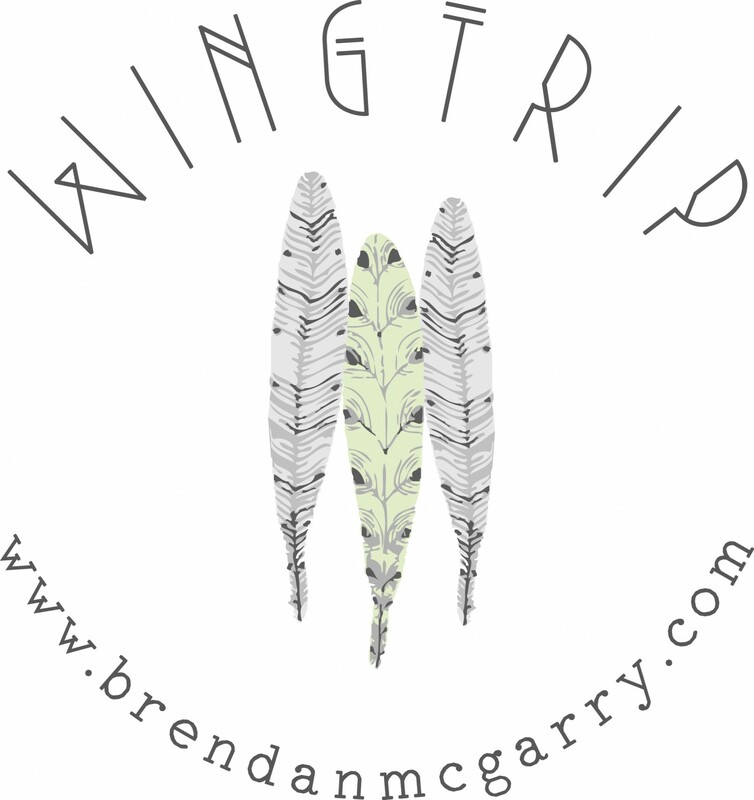 Welcome to Wingtrip’s Natural History Lexicon, a regular rundown of natural history terms. To find future and past posts on this subject, simply search “natural history lexicon” or find it in the tags. Thanks for reading! There’s frequently times in life when we realize we haven’t been doing enough of something we love. While I’ve been birding plenty in the previous year, I was hunched over before a screen when I realized I could go watch Marbled Murrelets and Pacific Loons in a two minute drive instead of sorting photos. I almost reached for two tripods, several cameras, and a bevy lenses, but instead I reached for my spotting scope, my binoculars, a point and shoot camera, and my journal. This was supposed to be a fun outing, not a photoshoot. “Leave the gadgetry behind and you’ll relax more, see more.” That’s what I told myself. Heading South on Shaw Island from where I live, I pass by our small library and schoolhouse before hitting a muddy, potholed road past the nunnery. I wiggled down slippery hills in my car, glad I hadn’t biked instead. The road flattened out past an overgrown orchard and one of the San Juan’s many prodigious “homesteads for the non-mortal.” Just beyond was Cedar Rocks Preserve, owned by the University of Washington, but you’d work hard to see a single soul there on a Wednesday winter afternoon. Hardly anyone but Shaw folk know about it (and don’t you say a word to anyone). Turning the circle of a small bay, lined with a Pacific Madrone and Seaside Juniper, I headed to a coastal outcrop overlooking San Juan Channel slipping South between Lopez and San Juan Islands. I set up my scope to the tickling squeals of piebald Pigeon Guillemots. Then stepping to the side for a brief binocular scan, I promptly slipped and fell. The view from Cedar Rocks South. Thankfully I didn’t fall supine, but landed instead as if in downward momentum of a pushup with my chin resting on the slippery rocks. Sure, I’d noticed the floral array that coated all the rocks, but I hadn’t anticipated the lack of grip they’d provide. 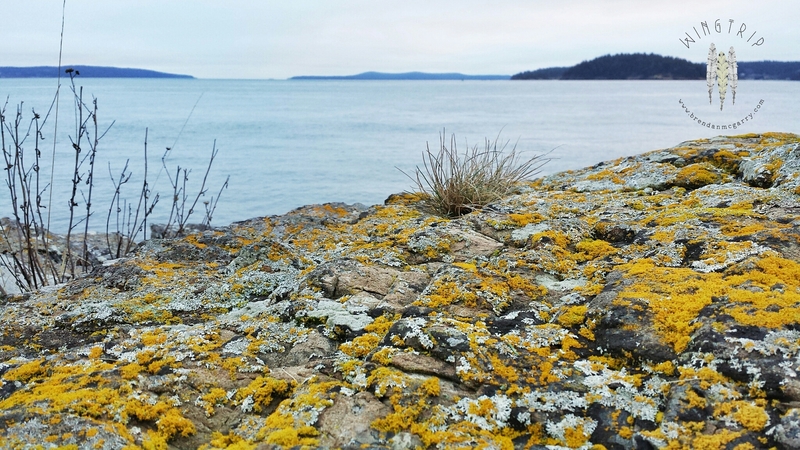 Momentarily flustered, I listened to the sound of waves slushing between the rocks and stared at the lichen offenders. 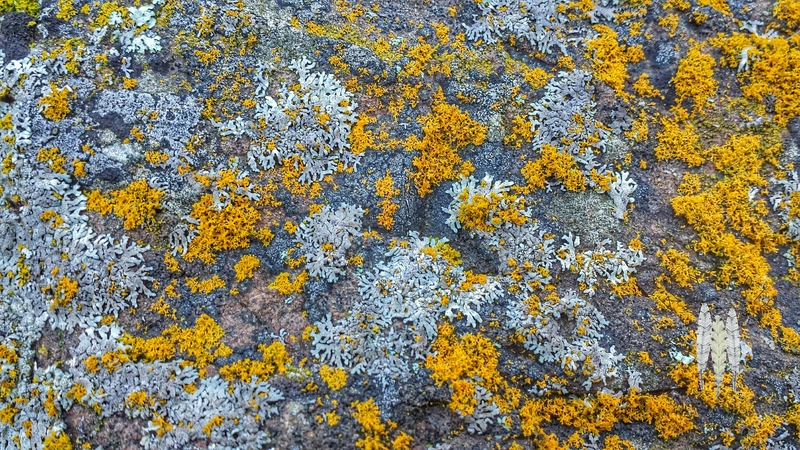 Now I’m no lichen master, but in my ceaseless quest to explore the natural world and describe the things I see, I’ve made a brief pass at learning a bit. So when I found myself nosing these generally inoffensive amalgams, I took a moment to remind myself of what I was seeing. 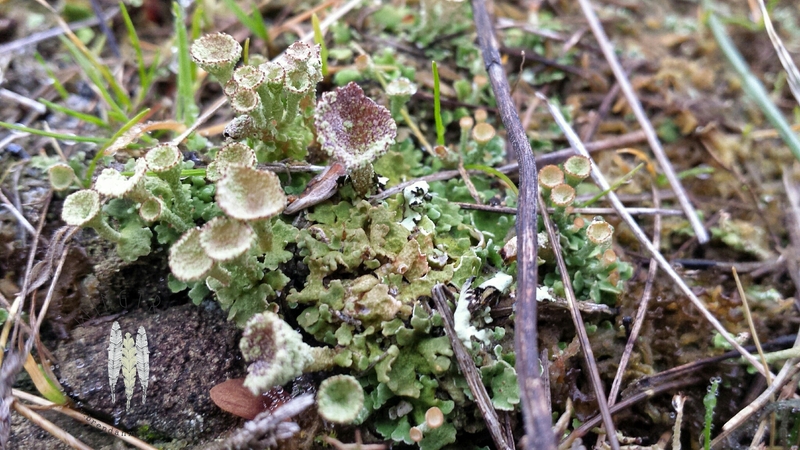 Like many multicellular fungi and plants, lichen reproduce via a fruiting body which pairs with a vegetative, non-reproductive body. Being a special blend of fungus (the mycobiont, generally providing structure, a home for their partner) and either algae or cyanobacteria (the photobiont, generally providing carbohydrates, ie nourishment) growing in a mutually beneficial handshake of symbiosis, lichen altered in appearance from either partner, even in their means of reproduction. What struck me in close encounter were the protruding apothecium of these specimens. I’ll attempt to spare you words we don’t yet know or fill this page with jargonism: the apothecium is a form of reproductive structure in various species of ascomycete fungus (relax, that’s just the name of the organism). It just so happens these are the predominant group of fungus that are lichenized and the reproductive structure I was staring at, a common manifestation of the handshake I mentioned above. The apothecium is simply a cup that has an upper surface which produces spores, creating more fungus, which disperse and contact free agent algae or cyanobacteria, (or at least in theory this is what happens). 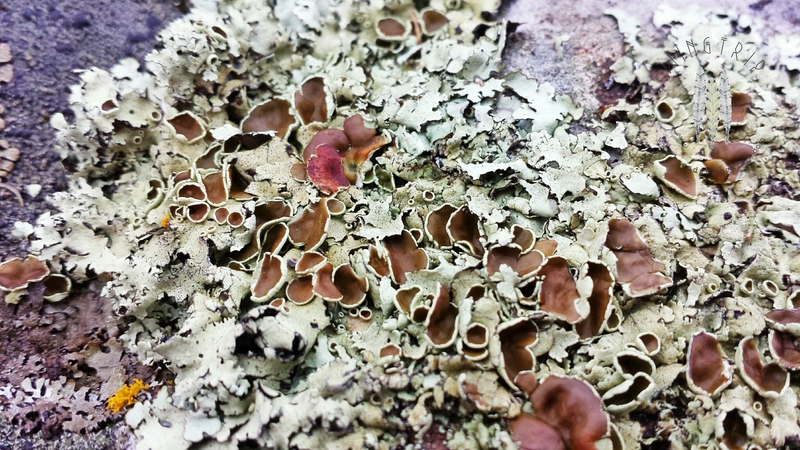 Lichen also reproduce asexually by division or by creating tiny propagules of fungus and photobiont for dispersal. Some swing both ways. Whoa. That got a little wordy. If you live in the Pacific Northwest or a place that receives regular moisture, you likely live in a lichen rich environment. My chance face plant is a modicum of the information on these symbiots; people understandably devote their careers to them. Lichen are important as indicators of air quality, food for a huge variety of species, and of course as representatives of biodiversity. Some even provide natural dyes. I know very little about them overall but I do know I’ve seen them every place I’ve traveled to, in high points of the North Cascades and the desert coasts of Sonora. If you want to learn more and you live in my neck of the woods, check out Macrolichens of the Pacific Northwest by McCune and Geiser. While technical, with a little effort you’ll become fascinated by a new world of words and descriptions. Then look around. Lichen are there and if you look more closely you might see some cup-like apothecium stretching up to shoot off some spores. Gross. I got back to birding. But I kept looking down and getting distracted. Love this! So glad I came upon your blog! 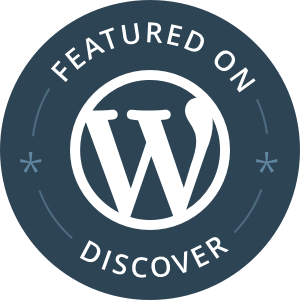 A Natural History Lexicon…what a fantastic idea and a great resource. I look forward to reading more! Thanks Mark! I plan to have them on a weekly basis. Hope you enjoy.